Due to popular demand, TIK Apparel are bringing back the 'Oxford Blue' t-shirt which represents the colour of our first 'strip' back in the day. You can also choose whatever player name and number from down the years that you like for the back print, the cost of that is included. 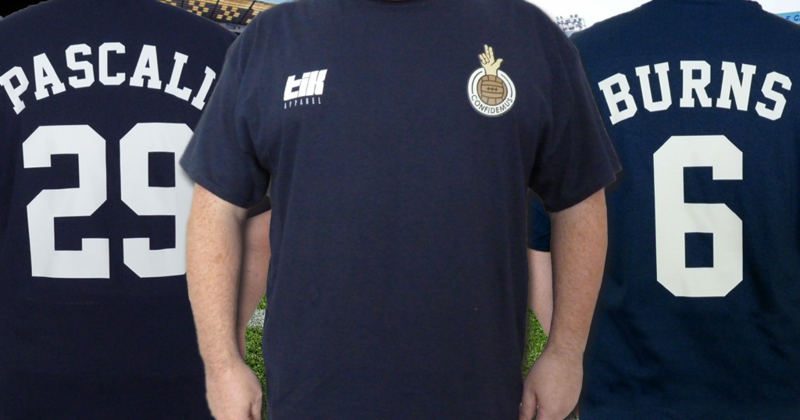 The cost per t-shirt is £15 for adults and £10 for kids (£18 and £13 if you need them posted out). You will pay when you collect from the shop or over the phone if you are getting it delivered. 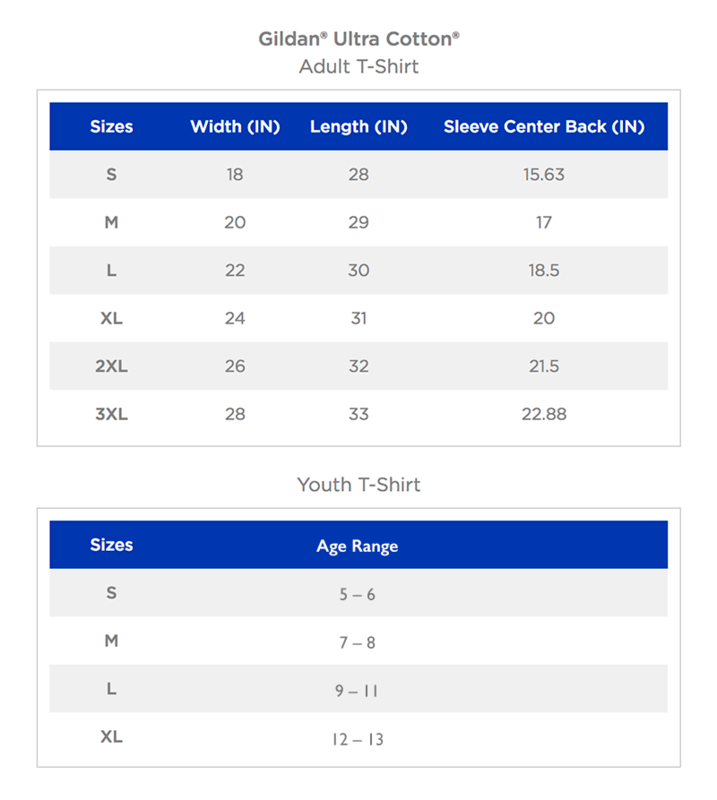 The t-shirts are a unisex cut and sizes are on the chart below. Please note that the Gildan brand is pretty 'generous', the 3XL is huge!